A brief history of psychology, the universe and everything. This is truly an auspicious occasion for the Positive Psychology community. 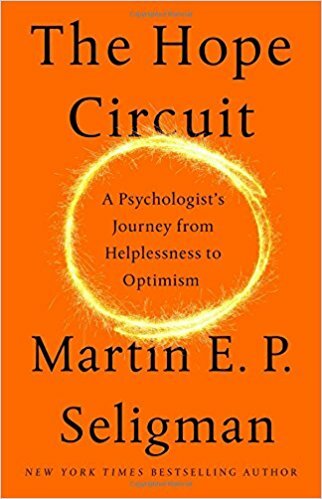 Martin Seligman, the iconic founder of Positive Psychology, has finally published his autobiography, The Hope Circuit: A Psychologist’s Journey from Helplessness to Optimism. This is more than just the memoir of a public intellectual. Seligman takes us on an insider’s journey through the most important turning points of 20th-century psychology – weaving his personal story throughout. It is a surprisingly turbulent history of how we got to here; culminating in the flourishing field of Positive Psychology. We learn how American Psychology began in 1904 when the hierarchy of the American Psychological Association (APA) assembled at the University of Pennsylvania. This meeting, headed by William James, decided the ground rules for what psychology would be about, what it would study and what questions would be ruled out. American Psychology was in its infancy and craved the same legitimacy of the grown-up sciences, i.e., chemistry and physics. So, unlike Freudian psychology, American Psychology would only examine behaviors that could be scientifically measured in the laboratory, e.g., rats pressing levers. Anything remotely subjective – disorders, dreams, relationships, cognition, introspection, emotions- were dismissed as unscientific. Within two decades, behaviorism had swept away introspection entirely, and its experimental psychologists ascended to the top professorships of American Psychology. P. 65. As behaviorism tightened its grip BF Skinner dispensed with mental life altogether. In Skinner’s view, people are born as blank slates ready to be shaped by rewards (reinforcements) and punishments. The human mind was now officially off limits and experiments with rats were to reveal everything worth knowing about psychology. To put this into perspective Seligman invokes Kuhn’s paradigms. In 1962 the science philosopher Thomas Kuhn challenged how we understand science. We like to think science proceeds with the steady accumulation of new discoveries, with exciting new truths rising to the top like some unstoppable force. If you like this romantic idea, and you want to hang onto it, you might consider reading no further. Kuhn argued science is tribal, with powerful warlords ruthlessly defending their empires and worldviews (paradigms). For example, only employing academics with the ‘right’ background, only funding research they consider relevant to their priorities and rejecting studies that ask the ‘wrong’ questions. Kuhn showed when a given field of science does advance it does so with a painful revolution of new thinking – a paradigm shift. The Hope Circuit provides a ringside account of these painful shifts. Seligman is forensic in his analysis of behaviorism. He compares its priorities to a man looking for his wallet, not where he left it but where the light is good. But he is also kind. For example, he recounts the discovery of systematic desensitization by the behaviorist Joseph Wolpe. Wolpe showed when a phobic person undergoes progressive muscle relaxation and is gradually exposed, in baby steps, to the feared object the anxiety is eventually conquered. This discovery was a direct challenge to the Freudian paradigm. Freud believed we fear things because they symbolize unconscious conflicts and until the conflict is uncovered the fear will remain. You can’t just relax your way out of it. Well, as it happens, you can. Behaviourism did get some runs on the board. However, the fortress of behaviorism would soon, in turn, find itself under siege. The Swiss psychologist Jean Piaget showed children progress through predictable stages of cognitive development independently of reinforcements. The renowned linguist Noam Chomsky noted our ability to make sense of nonsense words showed language skills are creative, not shaped by reinforcement. Then came the nuclear threat;- Seligman’s own work on learned helplessness. Seligman and his long-term collaborator, Steve Maler, demonstrated when dogs received unpleasant shocks over which they have no control, they learn ‘nothing I do matters’ and give up. They become helpless and remain helpless (compared to control groups) even when the rules change and they can now escape the shock. Not only were Seligman and Maler venturing into the forbidden realm of cognition, they were showing cognition made the difference between mastery vs helplessness. This meant war. The behavioral empire braced for the coming rebellion, and we are treated to some astonishing insider accounts of professional paranoia and counterattacks. It seems smart people go feral when they’re wrong. Skinner’s disciples attacked the new heresy at conferences and scientific gatherings and through the scientific literature. The more Seligman and Maler proved their findings, the more enemies they made. In one example, when a NIMH panel was deciding whether Seligman’s work would receive a large research grant, four psychiatrists visited him at Penn and investigated his work. When the panel assembled back in Washington they rated his proposal with the highest evaluation possible. A fifth panelist, a disciple of BF Skinner, simply asked what grade he needed “to give Seligman to prevent him from getting any money.” P. 117. It turns out Seligman was grateful for the sabotage. It helped his decision to accept tenure at Penn which would become his dream job. At Penn, he would study psychopathology and depression with the father of cognitive therapy himself, Aaron Beck. To this day, with Beck now in his late nineties, they still meet each month for research luncheons. Eventually, the day came when Beck said… “Marty if you continue down this path you will waste your life.” P. 127. Seligman admits to being shaken by this rebuke from his kindly mentor, then resolved to deal directly with real people and real problems. The next showdown occurred when the experimental psychologists lost their majority control of the APA to the growing number of clinical psychologists. By this time experimental psychologists (and insurance companies) were insisting on formal DSM diagnoses for patients, with specific therapies prescribed for specific disorders. Clinicians in the field pushed back. They knew people in the real world didn’t always fit into neat categories and sometimes eclectic tools worked better. To help settle the argument the consumer publication ‘Consumer Reports’ conducted a large study into the lived experience of people in psychotherapy. This was a departure from conventional clinical trials which allocated patients to predetermined treatment conditions, with no choice over which therapy they received or how long it lasted. In contrast, this study measured how people did in real-world settings with their own therapists. The results found people in real-world therapy did much better than those in controlled experimental trials. The results also found long-term therapy worked better than short-term, that psychologists, psychiatrists, and social workers all did equally well, and when insurance companies limited a person’s choice of therapist or the duration of therapy, people did worse. Seligman’s involvement in this study was welcomed by the growing community of therapists. However, the experimental establishment did not go quietly. “One of the most senior advocates of rigorous science about therapy, told an audience that my participation in the CR report was unforgivable and that I was a traitor.” P. 219. By this stage, most of us would be throwing in the professional towel. Not Seligman. In total defiance of these attacks, he decided to run for the highest office in the land; the APA presidency. Here we gain another insider peek into the profession. It seems you don’t just run for the APA presidency. The APA, while appearing to be democratic, was in fact controlled by an internal machinery – handpicking nominees from the most powerful committees. “I determined to defy this smug, self-appointed group and win.” P. 225. Seligman campaigned on the need for psychotherapy to have a better evidence base. The ‘traitor’ won by the largest majority of the APA’s one hundred year history. With this new platform, and with the help of Mihaly Csikszentmihalyi, the Positive Psychology revolution began. We learn more about the various roles played by key figures, many of whom are now well known, as well as more established figures such as Don Clifton. 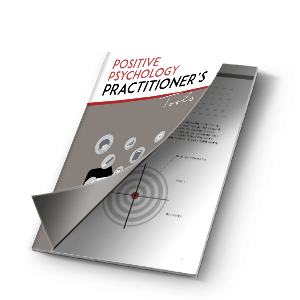 Clifton and the Gallup Organisation had been a lone voice studying strengths (in organizations) and now became an enthusiastic backer of Positive Psychology. Before long Penn established The Positive Psychology Centre, and the Master of Applied Positive Psychology course was launched. And the rest, as they say, is history. Seligman completed his Ph.D. in psychology in two years and eight months, smashing the all-time record at Penn. As an aspiring therapist, he was proud of having cured his first ever patient of depression using the new cognitive therapy, only to find the patient had been malingering to avoid the Vietnam draft. Science buffs will enjoy his friendship with Carl Sagan. When Sagan showed his friend a new manuscript about the evolution of human intelligence, Seligman advised him not to publish it because the psychology was too ‘sloppy.’ It won the Pulitzer Prize. One day he received a handwritten note from a frustrated personality researcher. It said…“Can I come to Penn and re-tool as a clinical psychologist under your supervision? In exchange, I can offer you my body and my offbeat research mind. Pretty please?” Thus began the awesome collaboration between Martin Seligman and Chris Peterson producing such achievements as the VIA Survey of Character Strengths (of what he meant by ‘body’ I would never discover) P. 164. Mandy McCarthy Seligman is the love of my life. She is the mother of our five children. After thirty years, when I wake up by her side, I am still thrilled to see her. She turned my personal life around and then was the muse who turned me sunward towards positive psychology. And yet I have never written her a love letter. This is it…P. 195. This book is for anyone seriously curious about psychology’s historic turning points, written by someone who helped make that history. This book is about truth to power. It is about having the soul to form a unique vision, and the guts to see it through. This book is a personal story for anyone wanting to be moved, inspired and enriched by one of the most loved scientists of our age. 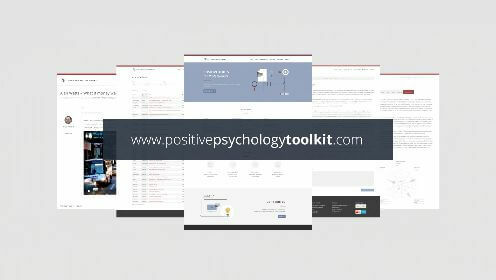 It has been a bone of contention among Humanistic Psychologists that Positive Psychology has not given more credit to the work of Abraham Maslow, with some commentators criticising The Hope Circuit for not settling this old score. I conclude with the below quote to allow readers to make up their own minds. “Indeed, the humanistic psychologists were furious with me and the Positive Psychology movement. They felt slighted and not properly acknowledged. They laid into me mercilessly. Their anger was more than partly justified. Abraham Maslow first used the term ‘Positive Psychology’ and his thinking was iconoclastic and antedated some of our main ideas.” P. 268. The Hope Circuit: A Psychologist's Journey from Helplessness to Optimism. Apr 2018. Martin E. P. Seligman. 15 Best Happiness Books and Are They Worth Your Time? Brad Desmond is a Positive Psychology consultant, based in Melbourne Australia dedicated to helping people and organisations flourish. He is also a member of the Australian Psychological Society (APS) and the Australian Society of Hypnosis. I am producing a documentary about mental health that quotes Martin Seligman. I would like to use the photo of him that is featured on this website. How do I obtain the rights?